With Amazon coming to town, Arlington leaders believe the time is ripe to finally change the name of Jefferson Davis Highway — and some of their allies in Richmond are ready to hit the gas on that effort, even as others look to pump the brakes. Once again, the County Board plans to ask the General Assembly for the authority to remove the former Confederate president’s name from its section of the state-owned Route 1. Alexandria leaders have already taken a similar step, but state lawmakers have repeatedly refused to grant Arlington the permission to make such a change over the years. But with a socially conscious tech giant planning to set up shop in Crystal City and Pentagon City, the very neighborhoods where signs currently honor Davis’ legacy, the Board hopes skeptical legislators might be a bit easier to convince. Board members held a joint work session with six of the county’s representatives in Richmond Friday (Dec. 7), in order to underscore the importance of the switch ahead of the start of the General Assembly’s session on Jan. 9. While all in attendance could agree that the name of the highway needs to change, preferably to match Alexandria’s newly adopted moniker of “Richmond Highway,” there wasn’t much in the way of consensus on how to achieve that goal. Some lawmakers urged patience, noting that the upcoming 2019 elections could flip control of both the House of Delegates and the state Senate to Democrats for the first time in nearly two decades — Republicans hold one-seat majorities in both chambers, following last year’s wave election for Democrats in the House. Until that happens, however, most lawmakers aren’t willing to spend political capital battling on the issue, particularly considering that the upcoming legislative session will last less than a month. State Sen. Barbara Favola (D-31st District) carried legislation to spur the name change this year, only to see it narrowly die in committee on a party-line vote, and she’s already sworn off interest in renewing that effort. Sen. Adam Ebbin (D-30th District) has backed other such bills in the past, but he expressed similar skepticism about the legislation’s prospects next year. Ebbin suggested that the Board might have more success if it secured some allies in the business community for that effort, urging officials to solicit support from groups like the Arlington Chamber of Commerce or the Crystal City Business Improvement District. Representatives from both groups did not immediately respond to requests for comment on whether they’d be interested in supporting such a bill. Other lawmakers suggested that Amazon itself might provide a powerful push, considering the company’s robust lobbying efforts and its growing importance to the state’s economy. But, after speaking with the company’s representatives about just such a prospect, Ebbin is less than optimistic. “I don’t think Amazon will be taking active political positions until after things cemented in,” Ebbin said, noting that state lawmakers and local officials still need to formally sign off on Gov. Ralph Northam’s proposed deal with the company. That isn’t set to happen until early next year, meaning that Amazon likely won’t have much of a say in the upcoming legislative session. Del. Mark Levine (D-45th District) was similarly pessimistic on the prospect of his Republican colleagues taking action on any name change legislation in 2019, but he believes the county shouldn’t wait on Richmond. He argued that Arlington could act immediately to remove any road signs referencing Davis, even if the county doesn’t formally change the name. After all, Levine pointed out that the highway is known by all manner of other names as it winds its way throughout the state. 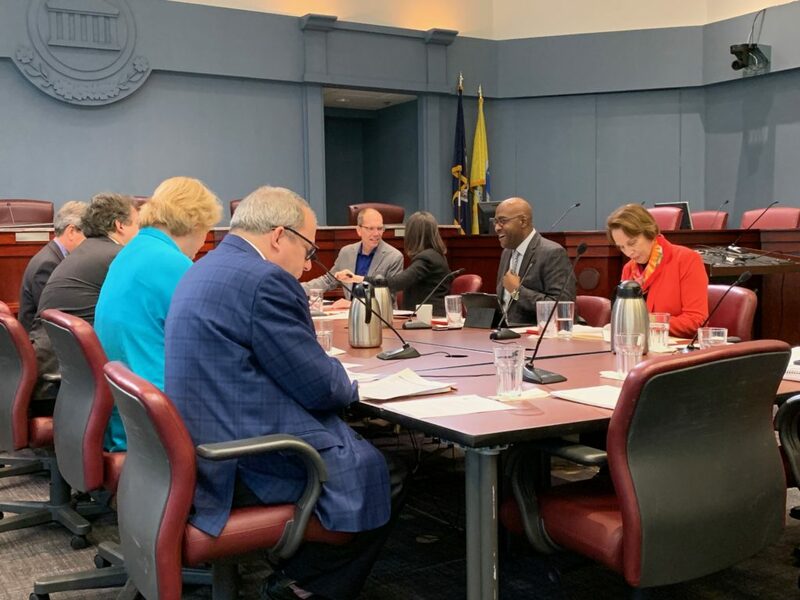 County Board Chair Katie Cristol noted that Arlington officials have had some conversations with the CTB about such a prospect, but have not come away with the clarity that Levine sees in the law. A spokesman for the CTB did not respond to a request for comment on the issue. Still, Dorsey and his colleagues argued that they’d much rather pursue a more cautious path, in order to avoid unnecessarily ruffling feathers in Richmond.